It’s been well-documented that the end of British summer and the impending arrival of the autumn and winter months has a negative effect on people’s mood. It even has a very fitting medical name: SAD (Seasonal Affective Disorder). This is more common than you think and has a lot to do with the return to normality after summer holidays, and lack of sunshine and shortening of days in this time of year. With this is mind, we thought there was no better time to list the top 10 reasons that you should take the leap and move to Spain this Autumn. Sunshine is one of the contributing factors to people’s happiness, and the distinct lack of it in Britain in winter is a contributing factor to negative emotions of stress and anxiety. Spain has an average of 320 days of sunshine per year, a definite mood lifter compared to the dull and dreary months at home in the UK. 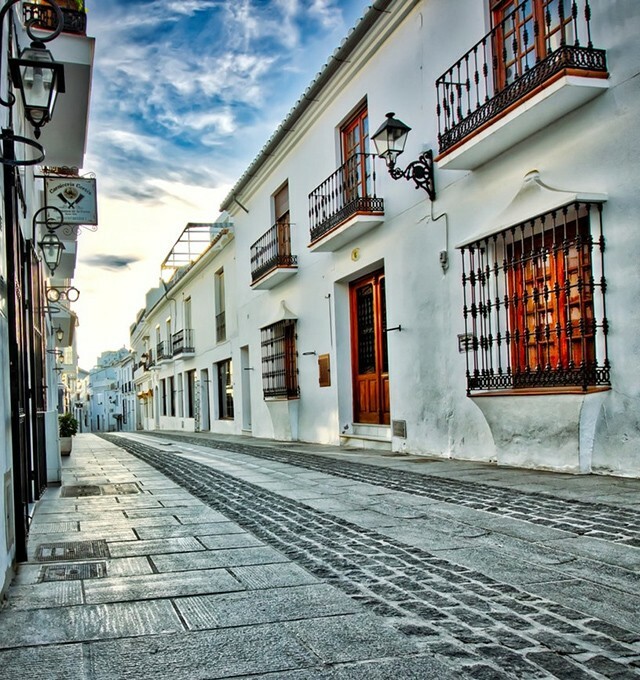 Spain is recognised as much more affordable to live than many other western countries. With affordable house prices on top of a low cost of living, moving to Spain benefits not only your head but your wallet as well. Many things, from groceries and transport, to eating out and drinks, are more affordable than the equivalent in the UK. And with wages just about keeping pace with inflation in the UK, it doesn’t look set to change anytime soon. Let’s face it, the 9-5 grind is tougher in the colder months. We could all do with a break in the middle of the day for a snooze, or a nice warm meal or a catch-up with friends. In Spain, the 9-5 never quite caught on, with many businesses closing in the middle of the day for a few hours. This is time for people to have a siesta, enjoy “la-comida”, a large midday meal with friends and family, or use whatever way you like really. It breaks up the day, and whilst you may work slightly later, you’ll feel refreshed and more fulfilled afterwards for having spent part of the daylight hours enjoying some much-needed leisure time. Spanish festivals are legendary and range from famous food fights to spectacular parades of colourful characters and light exhibitions. Autumn highlights include La Rioja Wine Harvest Festival at the end of September, and La Merce in Barcelona, also in September, which celebrates Catalonian tradition and the individual neighbourhoods of the city. Many other smaller, local festivals dot the calendar, with something for everyone. The Mediterranean lifestyle is a way of life recognised as one of the best in the world. A combination of many aspects, including healthy food and diet, lifestyle choices, weather and social activities have resulted in the area being renowned for its health benefits. It is one of the main reasons the area is so popular, with life expectancy topping out at 89.5 years according to some sources – higher than that of many western nations including the UK, USA and Australia. Everyone loves a good moan about how cold it is in Britain in the winter. In Spain though, the average temperature in the autumn months rarely dips below 15°C – no catching the cold here, and certainly no need to pack the scarves and mittens. If you’re a frequent flyer or anticipate several trips back and forth to Spain in the autumn, you’ll be pleasantly surprised to find flights are much cheaper than their general going rate. This is thanks to the end of school holidays and reduced demand. You can get some bargains from budget and even mid-range airlines, with particular savings to be found if are flexible with your flight date and time. As a bonus, the flights will be quieter, allowing you to enjoy the journey as much as the destination. Spain is such a varied country that there’s something to do no matter what the weather. You’d be forgiven for thinking that the only thing to do is go to a pool or a beach. But Spain is a historical treasure trove of museums and historical sites for when it’s just a bit too nippy to hop in the sea. The country also has some of the most beautiful mountain ranges in the world for those who like a hike, not to mention the many world class sports facilities. Each autonomous region in Spain has its own identity and you will never be short of something to do in any weather. This is a simple one. In the UK we drink coffee in autumn to keep the cold at bay; in Spain it’s drunk for the taste. Often ordered without milk and in smaller, stronger varieties, it is probably the reason the Spanish are regarded as such night-owls. Bear with us here – Christmas may be in winter but Spain’s best Christmas markets all start in November, towards the end of autumn. It might be a flimsy excuse to include them in an autumn themed blog but hey, who doesn’t like Christmas food, drinks and trinkets? Check out our previous blog here for some of our favourite Christmas markets. These are just some of the reasons why you should get over the autumn blues and move to Spain this autumn. If you need more incentive, check out our list of 100 reasons you should move to Spain, and get in touch with Sequre International when you are ready to take the next step of your Spanish property journey.